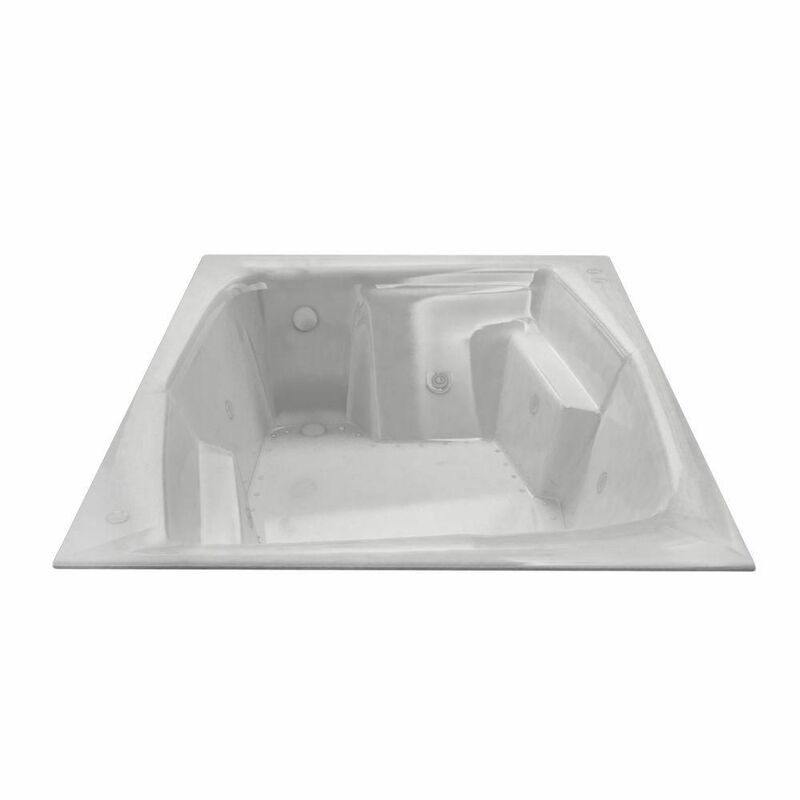 Amethyst 6 Ft. Acrylic Drop-in Left Drain Rectangular Whirlpool and Air Bathtub in White Amethyst bathtubs come equipped with ergonomically-molded seating space for two adults. Comfortable armrests located on both sides of series bathtub provide luxury and comfort. An offset angle opening design creates an intimate setting, which will compliment both modern and classic bathroom styles. Amethyst 6 Ft. Acrylic Drop-in Left Drain Rectangular Whirlpool and Air Bathtub in White is rated 5.0 out of 5 by 1. Rated 5 out of 5 by AlwaysSomethingToDo from Huge We had our master bathroom remodeled this summer. What a difference. Our old whirlpool tub (1987) was alright but small, we both couldn’t fit. With this new tub we both can get in there with room to spare. There are plenty of jets and bubbles to keep the water moving. It’s a very refreshing event. The hardest thing is cleaning it without getting in the tub. I did raise the temperature setting on my 80 gallon hot water heater, to make sure the rest of the house had hot water after we fill up the tub. Overall we’re very happy with the purchase. We used a local bathroom remodeler (found on Craigslist) to do our bathroom remodel (75% less than the bath companies were offering).